Samsung started in 1938 as a company selling dried Korean fish, vegetables and fruit to Manchuria and Beijing. Some 20 years after its foundation, the company switched to selling flour mills and confectionery machines, which was the fundamental turn of the company towards technology products. 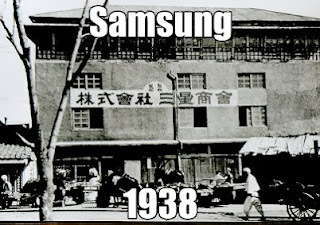 Throughout the course of their early operation, Samsung invested in a clothing company, acquired a Swiss watch company and even negotiated acquisition of a Dutch aircraft maker Fokker, thereby showing interest in a variety of industries. Still successful, today Samsung sells a very wide range of consumer electronics.